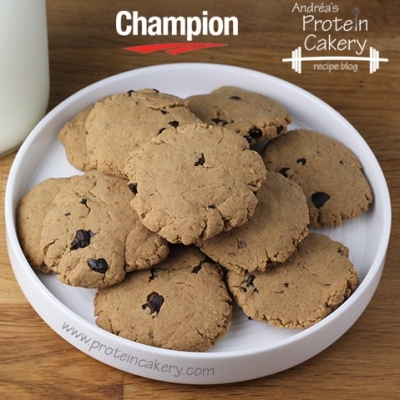 Melt-in-your-mouth high-protein chocolate chip cookies! Deliciously gluten-free and vegan! 2. Mix cashew butter and water until combined. 3. Add sweetener and protein powder. Mix well (you'll probably need to use your hands). 4. Fold in cacao nibs. 5. Break into 12 pieces, and roll each into a ball. 6. Place on cookie sheet and flatten each cookie. 7. Bake for about 12 minutes, until firm.